Thank you for subscribing to Plant-based Move. 1. 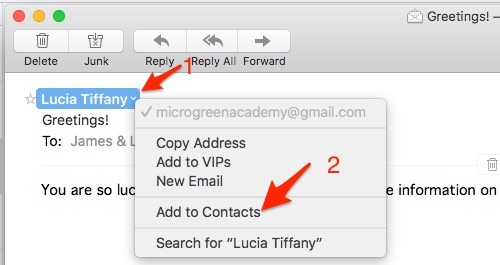 In your inbox, locate an email from [email protected] (for example, your welcome mail with the link that brought you here). 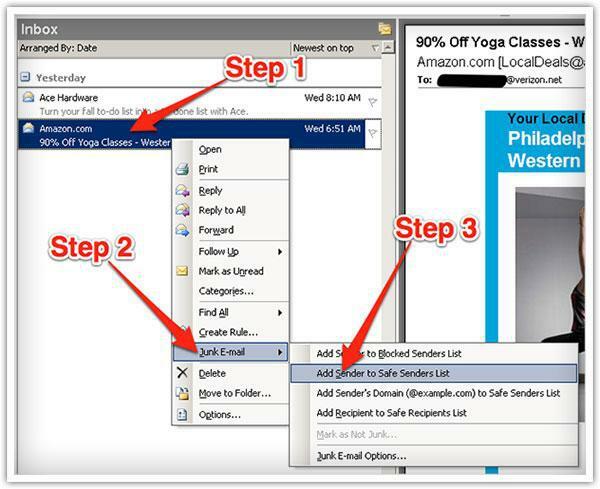 When opening an email message, if you hover your mouse cursor over the From: address and the sender’s name, contact details in a box appear. 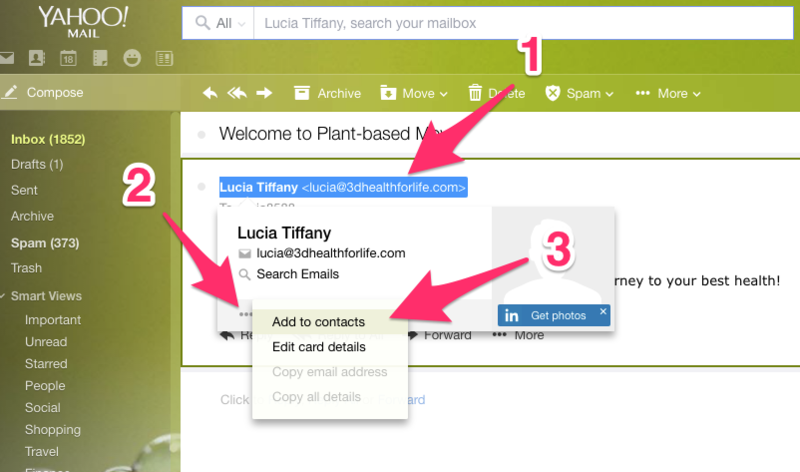 Click on the 3 little dots in the bottom left hand corner of that box and the “Add to contacts” pop-up should appear. Click on it. Open up your letter from me. Hover over the From address at the top and click on the little down arrow that appears. A Dialog box appears that allows you to choose “Add to contacts”. Click on that.